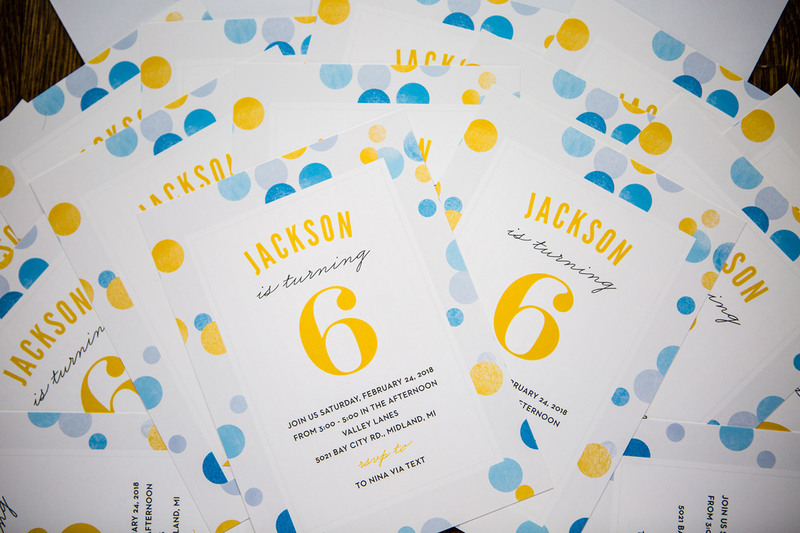 It is so hard to believe that Jackson turned six last week! He’s so big, so smart and so sweet, and it really feels like we just brought him home from the hospital like yesterday. We typically have said that we’ll do birthdays on the “big birthday” years and in our minds that’s a first birthday, 5th birthday, 10, etc. BIG ONES, right? Both boys had pretty big parties last year and, since they’re both in February, it was exhausting! So this year we didn’t really plan to do parties but Jackson had been to a few friends’ parties recently and he asked to have one. With it being his first year in public school and making lots of new friends, we happily agreed to do something for him and that was this past Saturday. 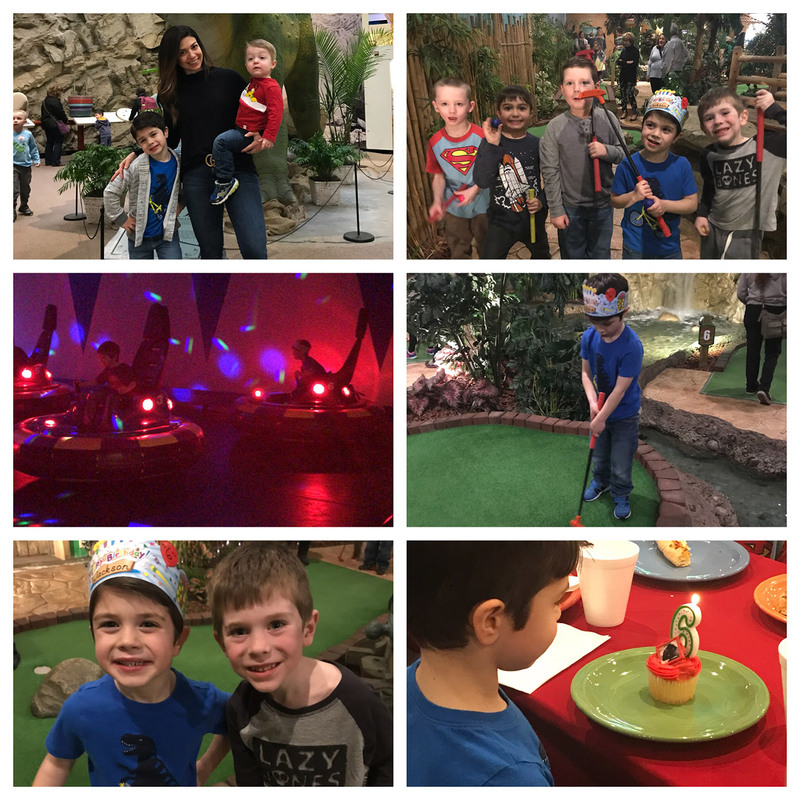 We went for an off-site birthday party that would make life a little easier on us with minimal prep and lots of planned activities. So we chose Valley Lanes, which is a little entertainment center nearby where the kids could do laser tag, bumper cars, putt putt golf, play in the arcade and they supplied pizza. Literally the only work we had to do was bring cupcakes and the birthday boy! For invitations, I ordered from Basic Invite. They have lots of event invitation options for showers, weddings, various parties, holidays and so on. For kids birthday party invitations, I loved that they had themed invitations for things like bowling parties, bounce house parties, sleepovers, but also really nice, colorful and simple invitations for parties where you don’t really have a theme (like us) but want something cute and fun. 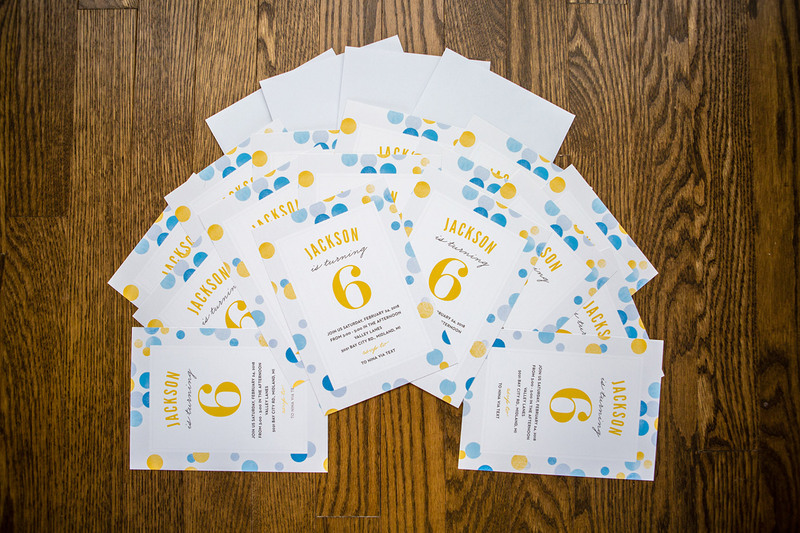 I picked these polka dot invitations and was so pleased with how they turned out! You can customize it to your liking too, even as far as changing all of the colors of each line, paper stock, card shape, etc. They also had super cute coordinating thank you cards that went with the design! Everything arrived really pretty quickly and one other little bonus I loved was that the envelopes were peel and stick! Don’t ask me why but I got really excited about that little detail and it made the invitation-sending process even easier. Check out Basic Invite’s collection of event invitations here. Thank you to Basic Invite for sponsoring this post. As always, thank you for supporting the brands that we love and that make the HSS feed possible.